New Study On Malnutrition Emphasizes That Protein Is Critical For A Child's Development : Goats and Soda A 1974 report emphasized vitamins and minerals for malnourished kids, not protein. That was a game-changer. A new study asserts that protein is just as vital. It used to be common knowledge: Malnourished kids need more protein to thrive. Then came a scathing paper in the Lancet in 1974 called "The Great Protein Fiasco." Filled with sarcasm, it argued that the nutrition community's fixation on protein was a waste of time and money. "There is mounting recognition that the emphasis which has been given to the role of protein in human undernutrition, resulting in the claim that there is a global protein 'gap,' 'crisis,' or 'problem,' is wrong," wrote author Donald McLaren, then a clinical nutrition professor at the American University's School of Medicine in Beirut. The paper hit the field hard, says Richard Semba, an expert on health and nutrition in developing countries, who is based at the Johns Hopkins Bloomberg School of Public Health in Baltimore. Protein researchers weren't even invited to the next world food conference. And for the following decades, malnutrition researchers focused on vitamins, minerals and calories. It may be time for another pendulum shift, suggest Semba's latest findings. 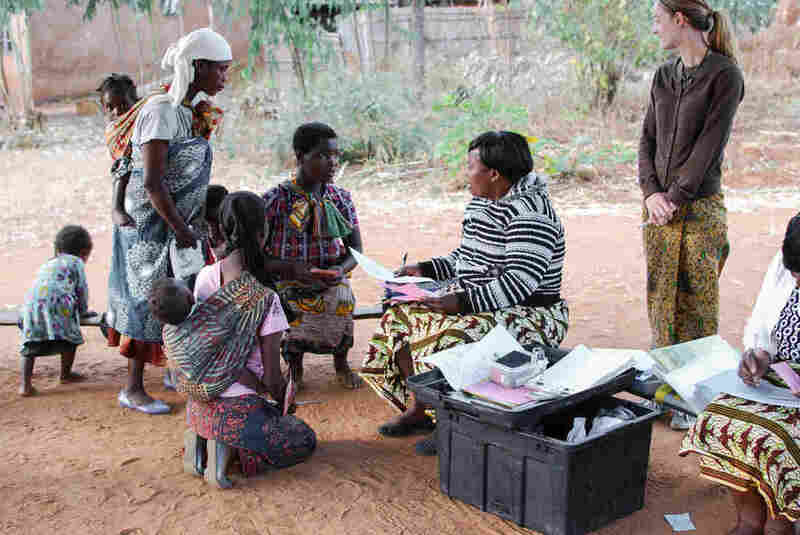 For a study published last month, he and colleagues visited rural villages in southern Malawi, where they found that chronically malnourished young children were low in all essential amino acids. Vitamins remain essential, he says. But the new results, along with other accumulating evidence, suggest that protein needs to be a bigger part of the picture. "It's not just micronutrients that are going to save the world," Semba says. "I think we're going to see a sea change in the international nutritional community." The rural villagers whom he studied in Malawi take meticulous care of their thatched-roof mud huts. But without electricity or running water in many places, kids suffer high rates of diarrhea and other illnesses. With eggs as a once-a-month luxury, along with low-nutrient corn porridge as the major source of solid food for babies, the result is widespread chronic malnutrition and stunting. This condition, in which kids are very short for their age, sets children up for a lifetime's worth of problems. Although the global nutrition community rejected the importance of protein in the 1970s, micronutrient supplements alone have failed to make a dent in chronic malnutrition among children. Meanwhile, researchers have increasingly acknowledged the cascade of negative consequences that come from lack of adequate nutrition in the first 1,000 days of life. Chronic malnutrition is particularly insidious, says Martin Bloem, chief nutritionist at the U.N. World Food Programme, who also teaches at Johns Hopkins but was not affiliated with the new study. Unlike kids with severe acute malnutrition, who are often extremely skinny and bloated, kids with chronic malnutrition can be normally proportioned but stunted. And while being short may not seem like a big deal, failure to grow in height in the first couple years of life is a sign that the brain and organs are also not developing sufficiently. Later in life, stunting has been linked to higher risks for obesity, diabetes and other chronic diseases. As many as 40 percent of children are stunted in parts of Africa, Asia and Latin America, Bloem says. Globally, a quarter of all kids under age 5 are too short for their age. With evidence growing over the last few years that it's time to revive the protein trail, Semba and colleagues measured the heights of 313 rural Malawian kids between the ages of 1 and 5. They also took blood samples. More than 60 percent of the kids were stunted, the researchers reported in EBioMedicine. And, compared to taller children, blood levels of all essential amino acids in stunted kids were 15 to 20 percent lower, suggesting that those kids are consuming significantly less protein. "It was more striking than we expected," Semba says. The team is now analyzing links between stunting and socioeconomics. In a region where owning a bicycle is a major status symbol, Semba suspects that families with even slightly more money are able to feed animal proteins to their kids more often. Hygiene may also play a role. Frequent bouts of diarrhea can deprive kids of the nutrients they need to grow well. "The findings of the new study are very important because they show that amino acids play a key role in this problem," Bloem says, adding that the World Food Programme delivers food to 100 million people a year in the most difficult circumstances. "It's always a big discussion for us about what is the optimal food." Cost remains a major barrier. Meat, milk and fish contain all the most important amino acids, but animal products are expensive. For its part, the World Food Programme is working with the Clinton Health Initiative in Rwanda to create a baby cereal fortified with essential vitamins, minerals and amino acids. The new study also emphasizes the need to revise recommended protein requirements for kids in challenging environments, says Ricardo Uauy, a nutritional biochemist at the London School of Hygiene and Tropical Medicine, and the University of Chile, who was not involved in the new research. Frequent illnesses and other stresses increase the amount of protein that children need to grow to their full potential, Uauy says. Inflammation of the gut after regular bouts of diarrhea, for example, reduces the body's ability to absorb nutrients and can increase protein needs by between 30 and 50 percent. "The new study is saying we have to study children in real-world conditions, not in an environment where everything is perfectly clean," he says. "That condition is the minority." In the real world, in other words, protein is not a fiasco but a necessity.